The US Center For Disease Control suddenly finds itself at the center of a huge media storm, rocked by a recent scandal implicating Dr. Poul Thorsen, chief co-author of a 2003 Danish Study financed by the CDC (which is now recognized as THE flagship model ostensibly disproving the vaccine-mercury-autism link). It seems Thorsen has illegally confiscated $2 million of CDC supplied grant money intended for research on the study. The 2003 Danish Study in question was sqeuwed with manipulated data to such an extent that its legitimacy in the overall autism/vaccine debate can no longer be considered valid. Essentially what Thorsen did was to double Autism levels by covertly adding Outclinic Registries – where 93% of autism cases are reported. Denmark removed Thimerosal from vaccines in 1992; therefore by suddenly opening the floodgates on reported cases of autism the actual numbers tracked within the framework of the study increased considerably based on this unique method of census taking. The entire Industry fueled justification for vaccine uptake depends 100% on this data to verify its conclusions as the penultimate truth; discounting any ‘autism-mercury in vaccines’ relationship (limiting claims for compensation from vaccine related trauma/resulting autism in vaccine court) while further justifying the use of Thimerosal in vaccines. This year, in fact, Australia, the United States & Canada are introducing a flu vaccine laced with 50 micrograms of Mercury – by EPA standards a safe level for a 1100 pound adult. Australia has been hit hard with hundreds of flu vaccine triggered cases of febrile convulsions, 1 death, 1 coma & a suspension of the entire program for children under 5. The US will be distributing the same toxic formula in the weeks & months to come. Why this is such an important issue? The Danish study represents the primary rule-stick being flaunted routinely by the APP, CDC, WHO, CNN, Frontline, Fox News, Health Canada, Britain’s NHS, the entire vaccine lobby & major gov’ts around the world to sell the lie that mercury in vaccines & autism are somehow not related whatsoever. Systematically cherry picking data, applying statistics out of context while magnifying their importance they trumped up an otherwise irrelevant thesis and set to task applying it as scientific fact within a broader worldwide context. The pro vaccine movement, a juggernaut of financial worth, is clearly trying to cover up its tracks by silencing the anti-vaccine researchers such as Dr. Andrew Wakefield & others; while sending us down a myriad of never-ending rabbit holes, citing genetic & environmental factors etc. for autism whilst continually adding to the branches of the Autism Spectrum Disorder tree. They have unwisely determined the public will never catch on to the cover-up, that we’ll never identify the real culprit since the evidence has thus been removed. This boils down to huge profits for cutthroat Big Pharma companies, increased reliance on the booming Medical System & skyrocketing stock shares for GSK, Merck & other giants of the Vaccine Industry; their underlying purpose to destroy all competition, …meaning us. 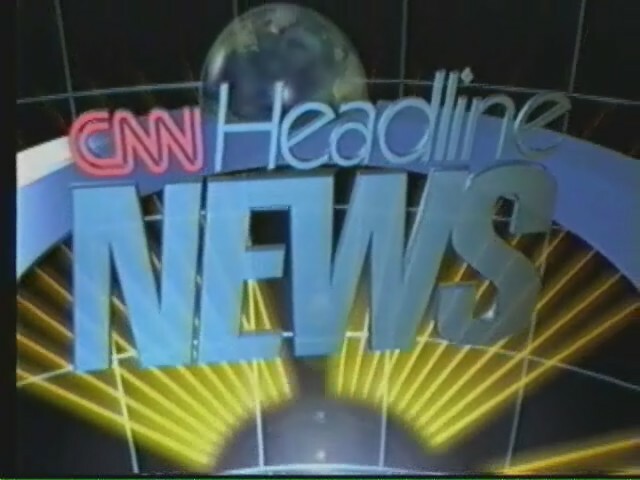 ‘As a SafeMinds critique of the study noted, “Therefore, their purported increase after 1994 can be explained entirely by the registration of an existing autism population that did not require hospitalization.” To compound the problem, Denmark also changed the diagnostic code they used, to the more universal ICD10 code, beginning in 1993, which would have further raised the rates. 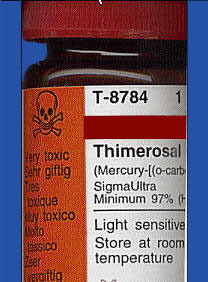 Danish children receive 75% less Thimerosal than American children, they receive immunizations when they are older, and the U.S. autism rate is TEN TIMES the rate of Denmark (Denmark is 1 in 1,600, U.S. is 1 in 166). ‘Ongoing criminal investigations in Denmark of Dr. Poul Thorsen, co-author of a pivotal study dismissing the link between mercury in vaccines and autism, suggest that he may have, in conjunction with staff from the Centers for Disease Control and Prevention (CDC), embezzled multi-millions of dollars. Further investigations also raise the specter that CDC staff inappropriately influenced the design, conclusions, and publication of that study and others. Parents, researchers, and advocates from more than 10 countries, today, bombarded the Office of the Inspector General (IG) for Health and Human Services (HHS) with a unified call for congressional investigations into this matter. “Injecting mercury into pregnant women and children is absurd. Examine studies which suggest otherwise, and you will find the funding for the study came from those who directly or indirectly profit from, or fear liability from, the use of mercury-containing vaccines.” CoMed on ongoing criminal investigations of Dr. Poul Thorsen, co-author of 2003 Danish study dismissing link between mercury in vaccines & autism. ‘Police in Denmark investigating a case of fraud involving the scientist Poul Thorsen, a key author of a controversial study that appears to show mercury in vaccines are safe, have been denied documents by US police authorities. Danish police were told that they would have to make a request to the US Justice Department through the Danish Ministry of Justice before they could access documents on Thorsen, who was the recipient of research grants from the Centers for Disease Control and Prevention (CDC), and who is believed to have defrauded the University of Aarhaus of 10 million Danish crowns. The police of Eastern Jutland have been criticised for failing to question Thorsen about the case even though more than half a year has elapsed since Aarhaus university publicised the fraud. Thorsen is believed to be currently living in the USA. The fraud came to public attention after the University of Aarhus issued an official warning at the beginning of 2010 to scientists working with Thorsen. In a statement, the university distanced itself from a former main investigator, Poul Thorsen, who was the leader of the research center, the North Atlantic Neuro-Epidemiology Alliances (NANEA). MAJOR UPDATE/April 13, 2011: CDC Advisor Poul Thorsen, 49, of Denmark, has been indicted by a federal grand jury in Atlanta, Georgia, on charges of wire fraud and money laundering based on a scheme to steal grant money the CDC had awarded to governmental agencies in Denmark for autism research. Once in Denmark, THORSEN allegedly began stealing the grant money by submitting fraudulent documents to have expenses supposedly related to the Danish studies be paid with the grant money. He provided the documents to the Danish government, and to Aarhus University and Odense University Hospital, where scientists performed research under the grant. From February 2004 through June 2008, THORSEN allegedly submitted over a dozen fraudulent invoices, purportedly signed by a laboratory section chief at the CDC, for reimbursement of expenses that THORSEN claimed were incurred in connection with the CDC grant. The invoices falsely claimed that a CDC laboratory had performed work and was owed grant money. Based on these invoices, Aarhus University, where THORSEN also held a faculty position, transferred hundreds of thousands of dollars to bank accounts held at the CDC Federal Credit Union in Atlanta, accounts which Aarhus University believed belonged to the CDC. In truth, the CDC Federal Credit Union accounts wre personal accounts held by THORSEN. After the money was transferred, THORSEN allegedly withdrew it for his own personal use, buying a home in Atlanta, a Harley Davidson motorcycle, and Audi and Honda vehicles, and obtaining numerous cashier’s checks, from the fraud proceeds. THORSEN allegedly absconded with over $1 million from the scheme. If you appreciate the efforts to bring this information forward do consider making a donation. Any amount, no matter how small will help enable me to carry on this invaluable research.﻿ See Paypal link on the VRM website (click on ‘Donate’ tab in upper right corner). Thank you all.